Perdue at the 1887 Building, his noted renovation project completed in 1982 in downtown Jacksonville Florida. Formerly the El Modelo Block Building, the structure is considered the oldest commercial structure in Jacksonville and is included in the National Register of Historic Places. Perdue is passionate about preservation of older buildings. Tom Perdue has been an architect, design & production manager, construction manager and urban planner for projects throughout the United States and internationally since 1968. He established Design Affiliation Architecture in downtown Jacksonville, Florida in 1973. A multi-discipline firm, DAA completed a variety of projects throughout the United States for government and private sector clients, including more than 15 million retail square feet. 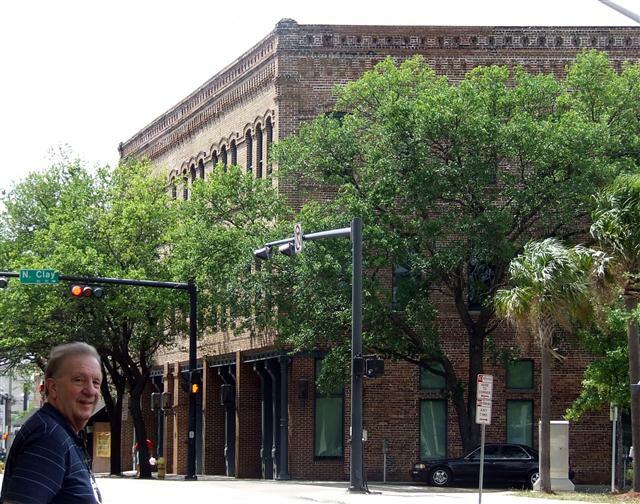 Perdue has been noted for his active concern for Jacksonville's development and has completed renovations of numerous historic buildings in downtown Jacksonville. From 2000-2008 Perdue was City Architect of historic Savannah, Georgia. As Senior Supervising Architect for Parsons Brinckerhoff in Norfolk, Virginia he guided design studies and site planning for the U.S. Army Corps of Engineers among other projects. Presently he provides consulting and contract services through Design Affiliation Architecture. Perdue's work has been recognized by the city of Jacksonville for structural engineering achievement, by the city of Fort Lauderdale with a Community Appearance Award, and has been mentioned in trade magazines and newspapers. He has been regarded as a leader in the effort to renovate downtown's historic buildings. Tom Perdue is an innovator in retail design, a pioneer in sustainable design, extends live/work design beyond buildings to the communities they are part of, and remains committed to quality, endurability and integrity of design. A portfolio of his projects can be found at his Design Affiliation Architecture Website.